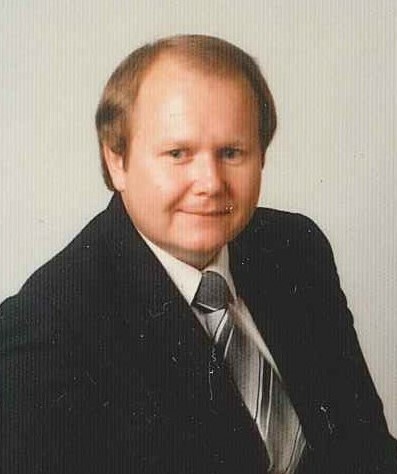 Charles “Chas” W. Fisher III, age 64, of Liberty passed away Wednesday August 15, 2018 in Liberty. Chas was born in Waco, Texas September 26, 1953, the son of the late Charles Fisher Jr. and Barbara Joyce Holcomb Fisher. He graduated from Liberty High School in 1971, attended Southwest Texas State University and Lee College and received his BBA in accounting from the University of Houston and his master’s Degree in Education from Lamar University. Chas worked for over twenty-nine years at Liberty High School and was proud of his students and their successes. He served on the City Cemetery Board and was the sexton for the cemetery for many years. Chas also served as Historian for the Methodist Men’s Brotherhood Banquet. He was an avid reader who enjoyed crime novels and Texas history books. In his early years, Chas liked to participate in the Chili Cook off circuit, played a good game of 42, enjoyed playing the guitar and singing and loved entertaining his many friends at his home on his farm. He cherished the privilege of being an Honorary Citizen of Luckenbach, Texas, which was bestowed upon him by the Mayor and Owner of Luckenbach, Hondo Crouch. Chas was a photography enthusiast most of his life beginning in high school when he was the photographer for the Liberty High School Panther Paw and the Harvester yearbook. A devoted son, brother, and uncle, he leaves behind to cherish his memory his brother David Fisher and his wife Melody of Liberty; nephews Eric Fisher and wife Cynthia of Terre Haute, Indiana, and Jonathan Fisher of Liberty; great nieces Madison Fisher of Liberty, and Eleanor Fisher of Terre Haute, Indiana. He will be sadly missed by all who knew and loved him. Visitation for Chas will be held Sunday August 19, 2018 from 5-8PM at Allison Funeral Service, 1101 N. Travis Liberty, Texas. Funeral services to be held 10AM Monday at First United Methodist Church of Liberty with burial to follow at the City Cemetery. Condolences and memories can be shared online at www.allisonfuneralservice.com.